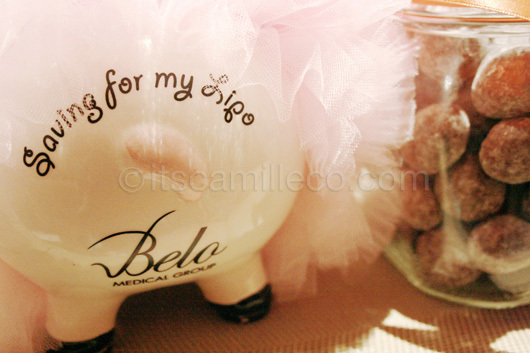 I got invited to the Belo Blogger Event last Friday at Myron’s Place. (To those unfamiliar with the Belo Medical Group, they are one of the leaders in cosmetic surgery here in the Philippines.) Initially, I wasn’t really expecting anything because A) I’m not a Belo client and, B) I don’t think my mom would ever allow me to get anything done. Obviously I still went and good thing I did. I learned so much in just a few hours, over great conversation and good food too! So here I go, being the responsible blogger that I am (cough cough), let me share with you what I learned. Just a little tidbit from Dra. Belo: the first ever breast augmentation patient with silicon pads is still very much alive and healthy up to this day, 50 years or so after. So how does Belo do it? What makes their procedure different? 2. The incision they do is beneath your breasts as opposed to the sides or near the armpits. This way, if ever a keloid or some sort of scar forms, it’ll be unnoticeable. 3. A drain is placed after the procedure to prevent any blood clots and other complications that would result to backjobs and unnecessary surgeries. The drain is removed a few days after the surgery. So how does it feel? Does it hurt? Here comes DJ Angelicopter of 89.9 fame. According to her, her surgery lasted for an hour and required her to stay in the clinic for 3 or so hours after. After a week, she was already sandboarding in Laoag, against doctor’s orders! She completely forgot she underwent breast augmentation because she wasn’t feeling any pain any more. It also helps that the Belo team constantly checks up on her, even if it has already been months since her surgery. So there. I hope I was able to enlighten you. Just to be clear, I’m neither for or against breast augmentation. I’m writing this because I believe that knowledge is power. Educated decisions are always better than simply deciding out of whim. I’m still not getting any cosmetic surgeries done but I don’t see anything wrong with people who do. Just make sure you do it for the right reasons. This is also one of the many things Dra. Vicky Belo stressed. At Belo, they make it a point to know WHY the patient is doing what they’re doing. In DJ Angelicopter’s case, she wanted to feel more confident. After giving birth, her breasts went down a cup and she felt her body wasn’t proportional. Make sure that if you do decide to get anything done, you’re doing it for yourself and in moderation. Consider your body and your proportions. Also, don’t be afraid to ask questions. DJ Angelicopter actually did her own research first and went to 3 different doctors before settling with Belo. There’s no need to rush. 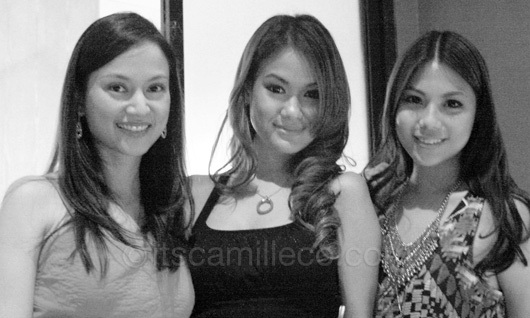 The gorgeous girls behind Belo. The prize I won! Weeeeeee I collect cute pigs so I just had to win this. This one is extra special because she has pink flowers on her head and is wearing a cute tutu too!! 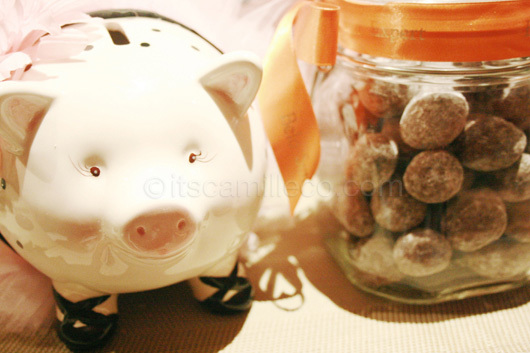 Look at what’s underneath my piggy bank’s tutu? Cutie patutieeeeeee!!!! P.S. To those interested, Belo is giving away P150,000 worth of beauty makeovers to 4 lucky winners. Learn all about it here. Hello po, I’m planning on getting breast augmentation and I’m convinced by your blog that Belo medical group is the clinic I could trust for this procedure. May I ask about how much was the over-all? From the anesthetics to post check-ups? Thank you!